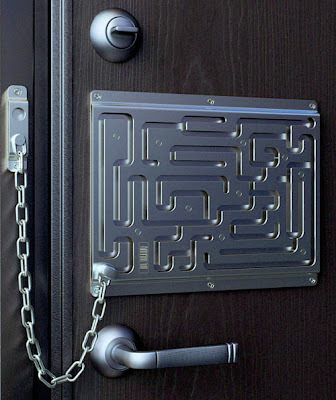 Collection of Creative and innovative Door Locks, Front Door Storages, Peepholes and Peephole Covers from all over the world. 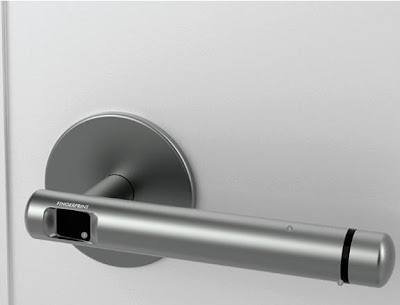 Bathroom Door Lock: Designed by H Deng this door lock mechanism for bathroom is quite innovative; you can program in a phone number and amount of time you need to use the toilet, shower, or bath. 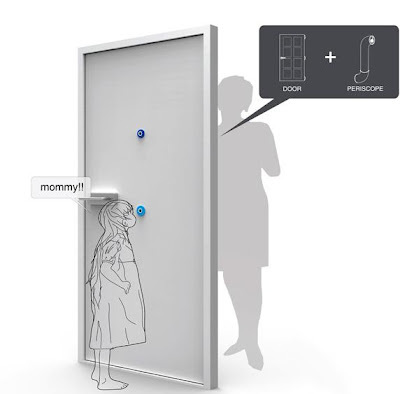 Once it's done, each time you close the door and press the "go" button after the allotted amount of time is over it sounds for 30 seconds during which you can still turn it off and then its followed by loud noises and a phone call to the programmed number. It's ideally suited for elderly people who tend to fall in the bathroom. Lock Indicator: Designed by Jongoh Lee, it comes with a key that has a center part turning round which indicates open and close of the door. Once you keep the key into the key holder and turn round, by moving the flexible plastic; the close and open state is shown. 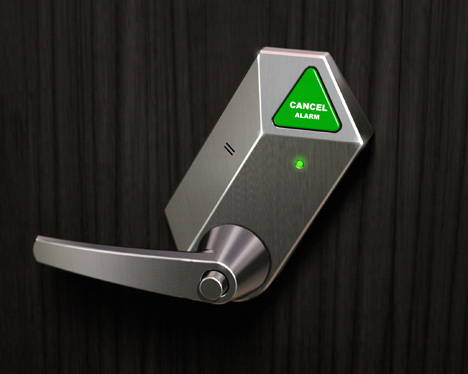 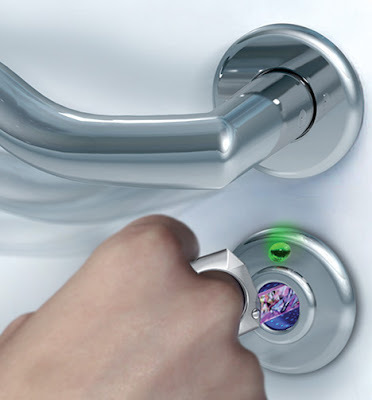 Concave Lock: Concave lock comes with a ring around the keyhole that glows in the dark. 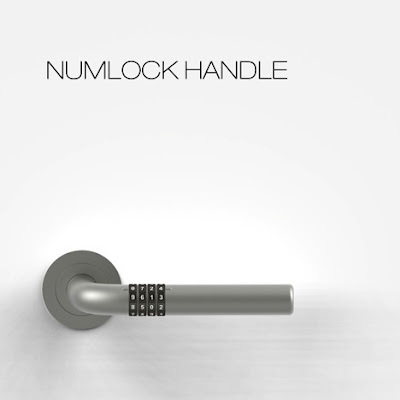 Numlock Door Handles: An innovative solution by designer Jess Han for those who want to have a keyless entry to their home. 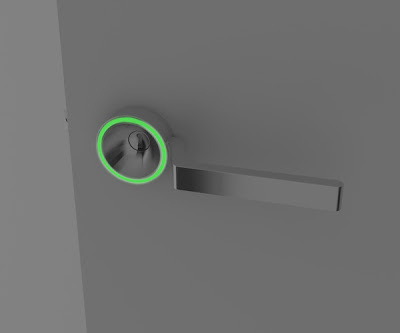 To unlock you need to rotate the four tumblers to the correct numbers, and after every successful entry it automatically re-shuffles and locks itself. 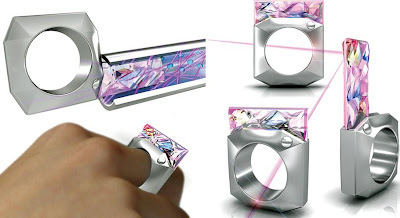 Open-Me Crystals Security Ring: Designed by M Ahsayane, it uses crystals to open the door. 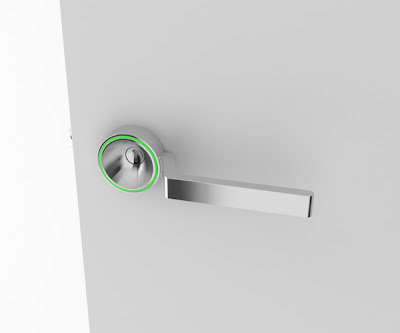 Open-Me looks more of jewelry than a key, its geometric cuts are used by the embedded 3-D scanner in the door lock to authenticate and open the lock. 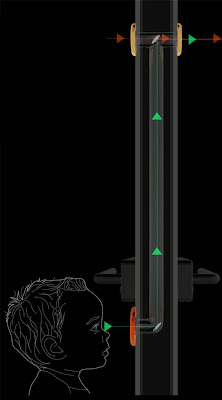 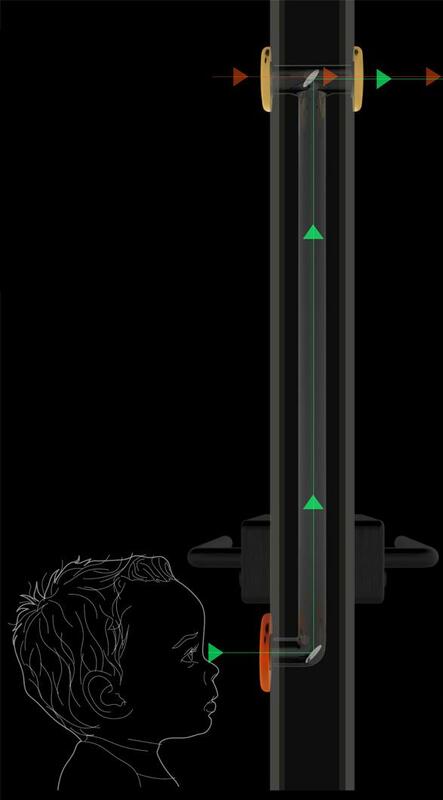 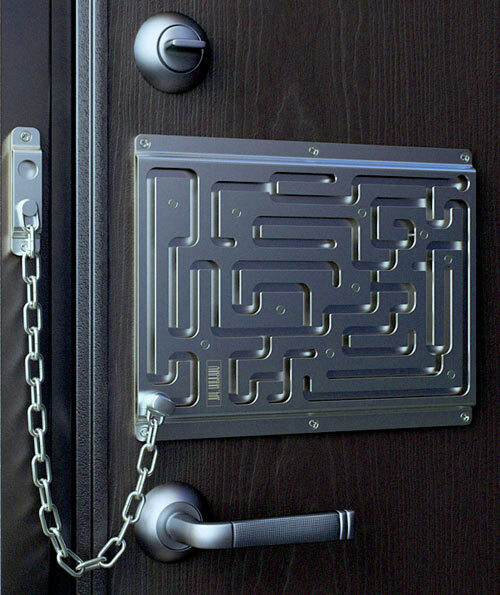 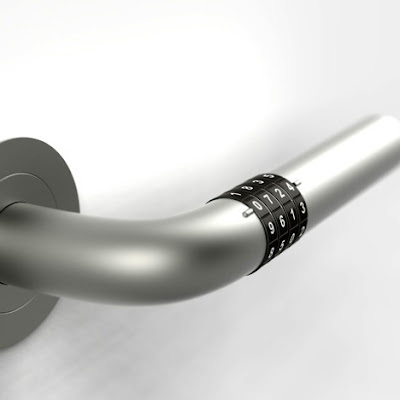 Labyrinth Security Lock: This innovative lock is designed by Art Lebedev Studio will make your door look even more stylish. 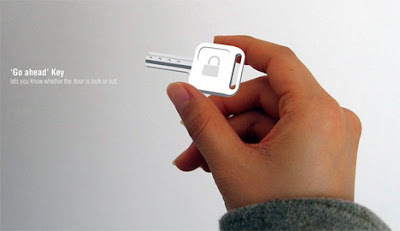 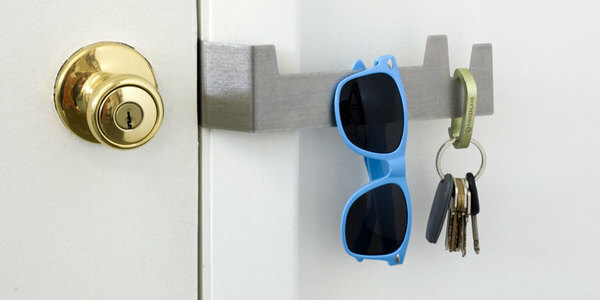 Key Plate: 2nd Shift Studio's "Key Plate" is a simple yet clever solution for your often-misplaced keys. It's a redesign of door frames strikeplate, found in almost every home / office; all you need to do is replace it with Key Plate, and you're ready to go. 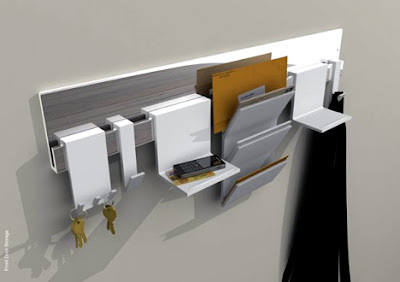 Front Door Storage: Designed by Lee Stanier, the front door storage consists of four differently shaped hooks; each is one specifically designed to hold letters, newspapers and more, another to hold jackets, bags and more, one holds keys and another can hold random things like smartphone, money, credit cards/ debit cards and more. 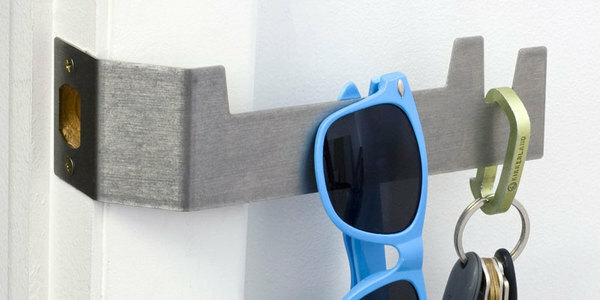 The hooks are attached to a polished aluminum wall attachment that doubles as a mirror for checking appearance when leaving the house. 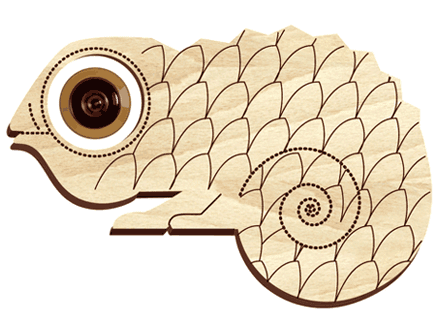 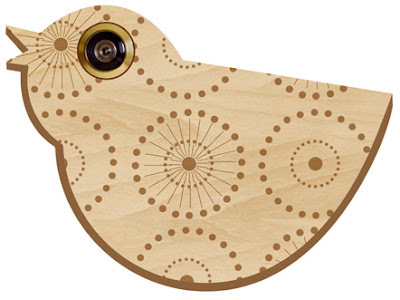 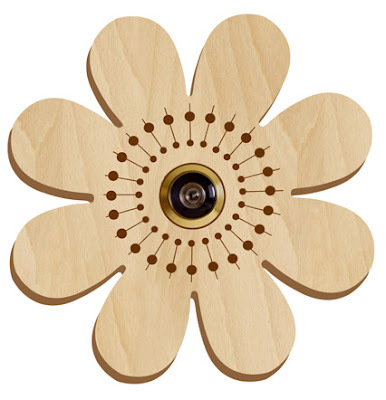 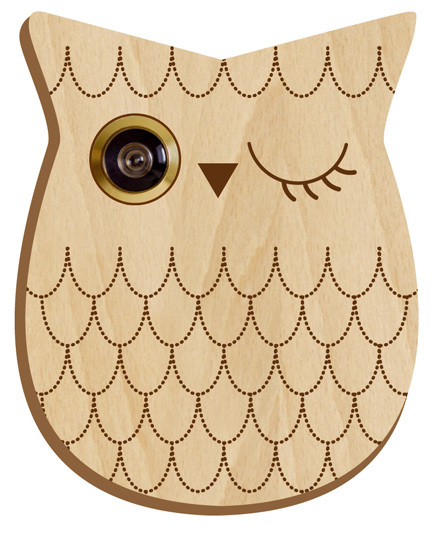 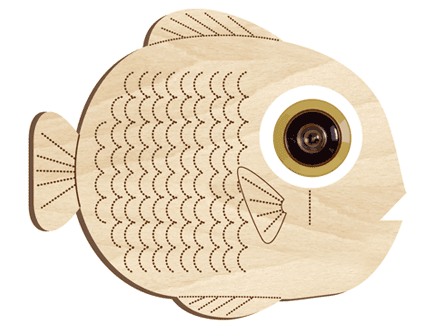 15 Creative Wooden Gadgets and Designs - Part 4.